An official Sage.com promo code. 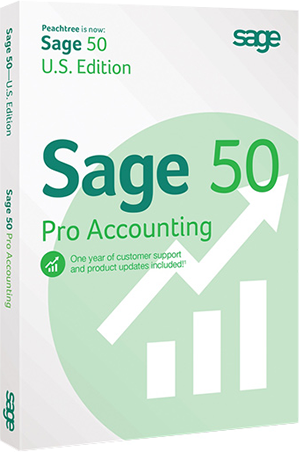 Sage has provided us with an instant promo code that cuts the price of Sage 50 Pro Accounting 2015 down from $299.99 to $259.99 That’s a savings of $40.00 (that’s 10% off) the listed retail price. To take advantage of this offer, just follow the above link. You’ll be take to sage.com where you can choose between the Pro and Premium versions, both of which are now on sale. No need to enter any codes at checkout as the discount will already be reflected in your shopping cart. Expires on April 15, 2019. Select versions on sale at Amazon. When it comes to accounting software, no one beats the sale prices at Amazon. 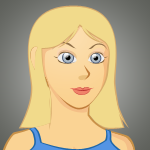 You can find the latest versions on sale for up to 15% off the list price. So instead of paying $299.99 per license, you can pick up a copy for around $260.00. Best of all, you have the option to receive either free standard shipping or instant download of the product (where a version will forever be stored in your digital Amazon library in case you ever need to re-install it onto another computer). Sale prices at Amazon will vary daily and may change without any notice at anytime, so be sure to see their site for full offer details. Prices and discount levels will vary. You can get Sage 50 for Free. If you’re a student then you can pick up a limited version of Sage 50 Accounting 2015 for free for educational purposes. The student version will not open data from other Sage 50 Accounting products and this license will only be valid for 14 months from the date of registration. You will need to provide the name of your school, course information, and your contact info during the registration process (the information is used for eligibility verification). Available to qualifying students and teachers only. If you’re looking to switch to Sage from QuickBooks, then be sure to take advantage of the free trial to see the differences for yourself. Sage offers 30 days free trials on most of their accounting software to all those that have never had a chance to try out their software before. As with most free trial versions, it will expire automatically on it’s own at the 30-day mark if you don’t purchase a license. You can also activate it at a later date by entering the key into the registration box. Otherwise, you can let it expire. Sage 2016 Release Date Alerts! Signup to our exclusive release date notifier list and we will shoot you a note as soon as all of the new 2016 versions of Sage accounting software are released! See all our deals from Sage! Where is the Sage 50 upgrade discount? Unfortunately, we could not find any upgrade discounts for existing customers. Maybe they do or did exist, but it's not publicly advertised by Sage. So if you’re looking to move up from a previous version of Sage or Peachtree to the 2015 version, you’ll be able to use all the promo codes and discounts listed on this page, but there is no special “upgrade” version or rate available. If you’re a new customer of Sage 50 Accounting and you purchased your software directly from sage.com, then you’re covered by their 60-day 100% satisfaction guarantee. If you are not happy with the software for any reason then simply request for a refund and you will be returned your entire order amount with no questions asked (less any discounts that you received). Remember that return policies are not only helpful if you have a problem with the software but also when you find a better deal AFTER you made your purchase and you need to return the higher priced one and repurchase the one that’s now on sale.